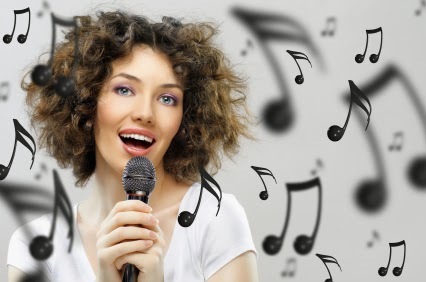 Harry's Night Club & Beach Bar: Did you know that Singing is GOOD for You? It's karaoke night at Harry's by Front Row Karaoke! Everybody knows how fun it is to sing, but did you know it's also GOOD for you? There are many health benefits. Here are 10! 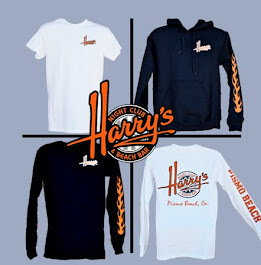 Hope to see you improving your life down at Harry's tonight! 10 Great Reasons to Sing! Forget about whether or not you think you can sing, here are some great reasons to do it anyway. 1. It's good for your heart. Singing is an aerobic activity so beneficial for your heart and lungs. 2. When you sing your brain releases “feel-good” chemicals including endorphins. Consequently singing can be a brilliantly effective mood buster and there is an increasing body of research to show that it is a valuable tool in alleviating depression. Through singing we can learn to breathe more deeply and with more awareness. When stressed or anxious, exhaling for longer than inhaling helps to calm the nervous system. Singing encourages us to use this way of breathing, using a shorter inhalation and a longer outward breath. Singing is a natural and global form of human expression. You don’t have to consider yourself good at singing for singing to be good for you. It is something that the vast majority of us can participate in and benefit from socially, physically or psychologically, and usually all three. Singing regularly can improve your ability to use your speaking voice with more clarity and confidence too. 6. It makes you part of something life-affirming. Joining a choir and singing with other people can be rewarding and fun. It can also enhance your sense of community, connection and creativity. 7. It’s a natural beauty treatment. When you sing you exercise your facial muscles. Your body already has all of the equipment you need and you don’t require fossil fuels or expensive upgrades. 9. You reclaim your birthright. However, the vast majority of us can learn to sing with more confidence, freedom and control through guidance and practice. While our individual physicality undoubtedly shapes and defines our voice, we can learn to use more of our vocal potential and sing with a greater expressive range. 10. You'll become a better listener. By learning to sing, you develop your musical ear and start to listen to yourself and other singers with a greater level of appreciation and understanding. You learn to hear more nuance and subtlety in vocal performances and in music itself.